A Live Comedy Slide Show Performance Celebrating the Capitol City like it’s a Big Theme Park! 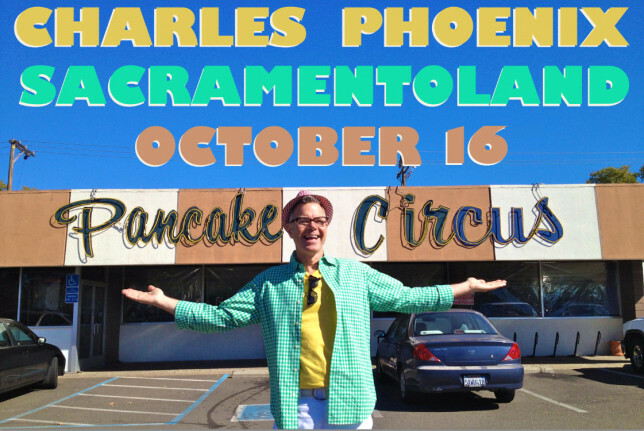 Prepare for your local pride to SWELLL when Ambassador of Americana, Charles Phoenix, sweeps us away on a madcap adventure as he uncovers the stories and glories of Sacramento’s classic and kitschy landmarks and lore. With his gracious sense of humor, unbridled enthusiasm, and keen expertise, Charles lavishes the city’s most colorful “attractions” with the respect they SO deserve; revealing the unique style, backstories, and pop-cultural significance of Pancake Circus, Jim Denny’s, Iceland Skating Rink, Gunther’s Ice Cream, Vic’s Ice Cream, Sam’s Hofbrau, County Club Lanes, Fairytale Town, Tower Theatre, Crest Theatre, and Old Town. On July 14, 2015, the Sacramento City Council will be making important decisions regarding Capitol Towers Historic District. This established neighborhood and urban oasis has been a highly successful example for a livable, walkable, densely populated, and public transit-oriented district for over 50 years. It has also been receiving national attention and architectural acclaim, as evidenced in this recent article. Capitol Towers is also home to a vital urban tree canopy, which cleans the air and helps counterbalance the increasing heat island effect downtown. We believe there is a solution that can meet the mutual goals of the owner, the City, and the community. We believe that in doing so, we can find an answer that makes the proposed Sacramento Commons project — which is still in its early conceptual phases — even better. On June 26, 2015, the historic Mercury Cleaners Neon Sign (circa 1946-47) was returned to 16th Street near O Street in Sacramento. SacMod was happy to be invited to participate in the relighting ceremony! The sign and business were integrated across the street from their original location and into the new Legado de Ravel Apartments complex. • To all who helped behind the scenes on this project — many individuals and organizations were involved. Our City’s historic neon signs are cultural artifacts and landmarks. They are handmade works of art. They provide a sense of place and tell the story of our city’s past. Unfortunately, we’ve been losing them at an alarming rate. There used to be thousands — and now there are only around 100. They are lost to disrepair, abandonment, and redevelopment. 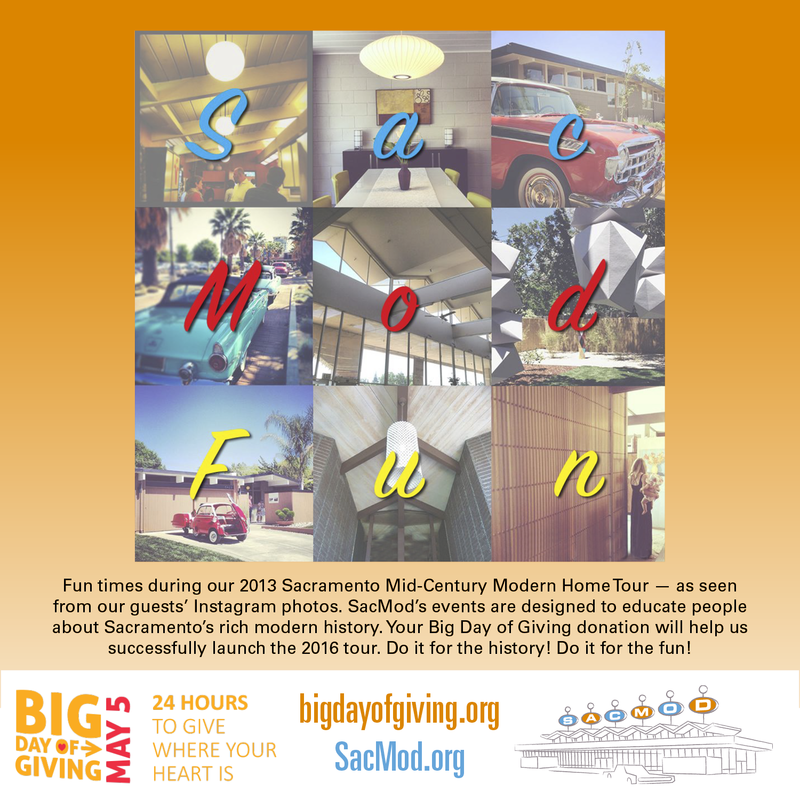 SacMod is pleased and excited to be a part of the Big Day of Giving on May 5, 2015, in partnership with Sacramento Region Community Foundation and Give Local Now. We ask you to kindly consider making a donation (starting as small as $25) to Sacramento Modern on May 5th. Your donation of any amount will help fund our research and preservation efforts, and help launch our next MCM Home Tour in 2016! We can’t do this without your help! 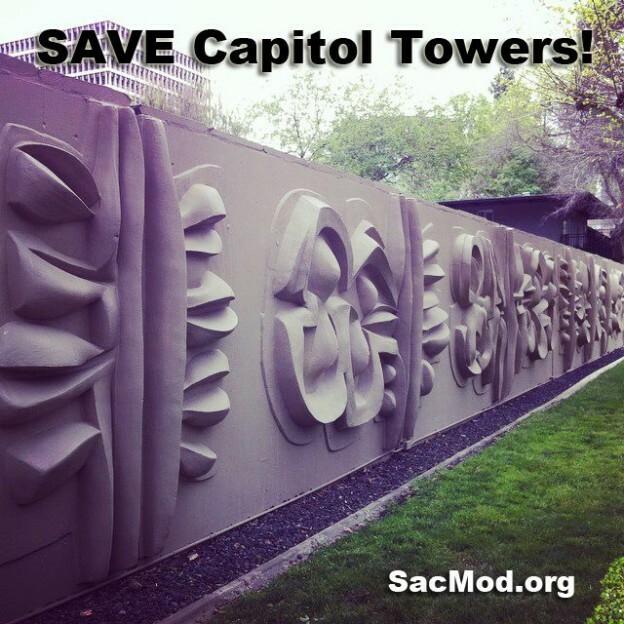 SAVE Capitol Towers! Important Hearings this Week! UPDATE 4.20.15 – Planning and Design Commission continued their “Review and Comment” hearing until 4.30.15. MEANWHILE…. SacMod has submitted comments to the City of Sacramento regarding Sacramento Commons Draft Environmental Impact Report. IMPORTANT HEARINGS REGARDING CAPITOL TOWERS THIS WEEK! 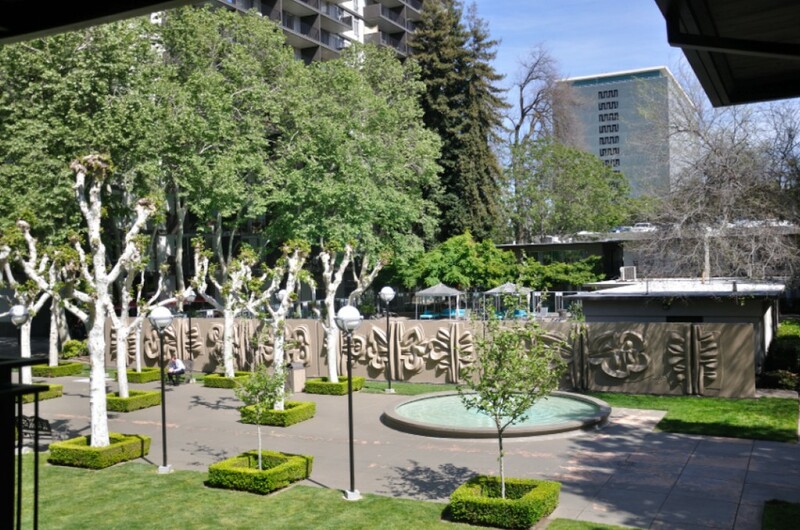 Please join us in support of Capitol Towers Historic District and in opposition of the Sacramento Commons proposal to demolish the historic district. 1) Wednesday, 4/15/15 — Preservation Commission — 5:30pm New City Hall, 915 I Street, Sacramento, 1st Floor. 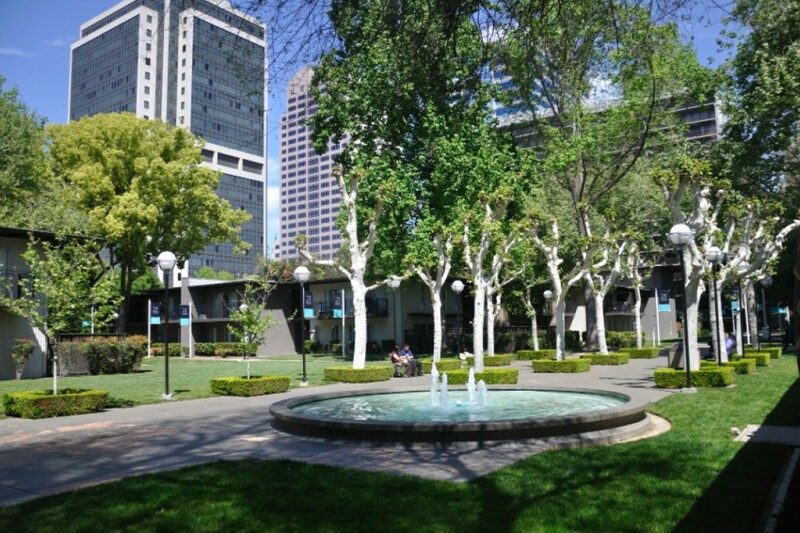 The Preservation Commission will weigh in on both the Capitol Towers Historic District local landmarking and Sacramento Commons’ request for demolition. 2) Thursday, 4/16/15 — Planning and Design Commission — 5:30pm New City Hall, 915 I Street, Sacramento, 1st Floor. 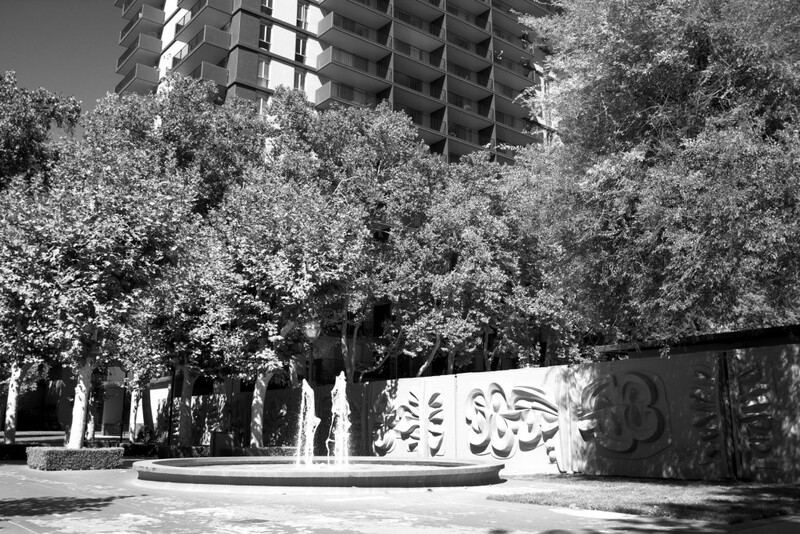 The P+D Commission will weigh in on Sacramento Commons’ request for demolition. Here is a template letter for your convenience, in Word, Pages, and PDF. On May 12th, 2015 at 6:30 pm. 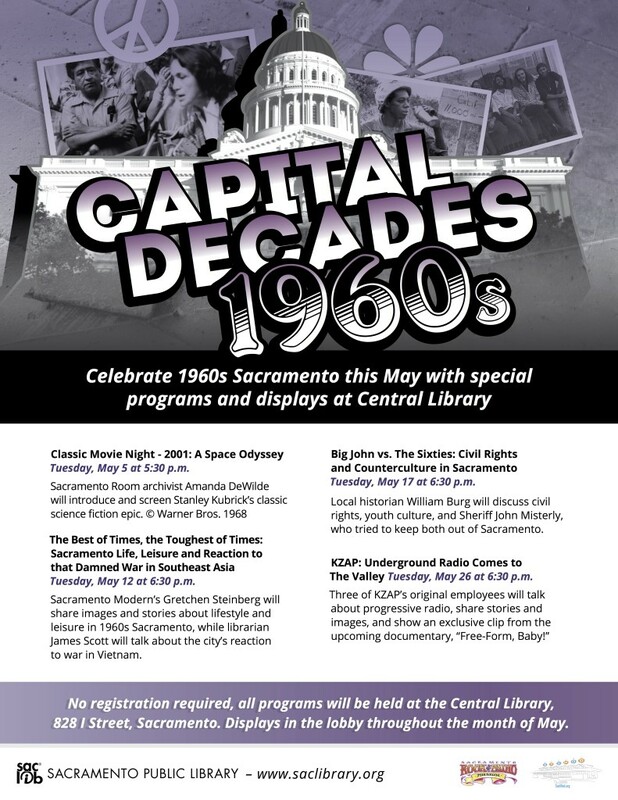 we are joining our friends at the Sacramento Public Library again this year for “Capital Decades: 1960s.” We’ll be teaming with James Scott for “The Best of Times, the Toughest of Times: Sacramento Life, Leisure and Reaction to that Damned War in Southeast Asia.” Join us and reminisce or learn about our local history! Many thanks to the City of Sacramento Preservation Commission, who unanimously voted at their 10.15.14 meeting to write a letter of support for the nomination of Capitol Towers to the National Register of Historic Places! SacMod also suggested during the meeting via an application submitted to the City of Sacramento Preservation Director that Capitol Towers Historic District be listed on the Sacramento Register of Historic and Cultural Resources.